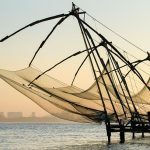 One of Asia Pacific’s largest hotel management companies, StayWell Holdings has extended its international footprint this week with the opening of the group’s second Southern Indian property – Leisure Inn VKL Kochi. Mr. Simon Wan, President & Director, StayWell Holdings, said the opening of the property symbolises the brand’s commitment to widening their reach in the Southern market. “We are looking forward to widening our reach in the Indian market and offering a unique experience to tourists and business travellers in the region. We are also pleased to extend our partnership with the hotel owner, Dr. Varghese Kurian, following the opening of Park Regis Lotus Hotel Bahrain early this year,” he said. Mr. Rohit Vig, Managing Director for StayWell Hospitality Group in India said the extended presence solidifies the brand’s position the region. Leisure Inn VKL is located in one of the principal tourist destinations of Kerala. “The expectations of travellers in 2018 have increased in line with significant advances in the hospitality sector, so it was important for us to ensure the property met these, whilst also aligning with the region in which it is positioned,” he said. 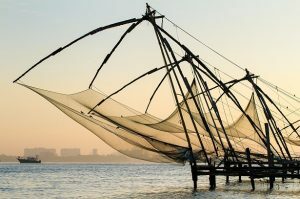 “As a gateway city to Kerala and other southern cities, Kochi has a lot to offer,” Mr. Vig said. On the partnership with StayWell Holdings, Dr. Varghese Kurian, Owner Leisure Inn VKL Kochi said, “Together we aim to offer a new set of services and I am certain that the hotel will provide an unmatched hospitality and par excellence service to our guests. I am delighted to extend this relationship with StayWell in India,” he further added. Leisure Inn VKL Kochi is the seventh operational property in India for the Group, which includes Park Regis Aveda, Kumarakom, Park Regis Jaipur, Park Regis Goa, Leisure Inn Shrey, Jodhpur, Leisure Inn Grand Chanakya, Jaipur and Leisure Inn West Gurgaon. For more information on StayWell Holdings visit www.staywellgroup.com.